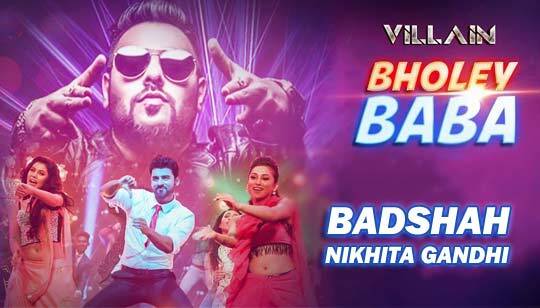 Bholey Baba Lyrics by Badshah from Villain Bengali Movie: Featuring: Ankush Hazra, Mimi Chakraborty And Rittika Sen. The song is sung by Nikhita Gandhi And first time Badshah Rap Bengali Song Bholey Baba Paar Karega Bangla Song Lyrics written by Sanjeev Tiwari And Music composed by Subhadeep Mitra For JAM8. গাড়িটা যে থেমে যাবে কাক্কা ..
ওরে পাগলি তুই একটু দাঁড়া..